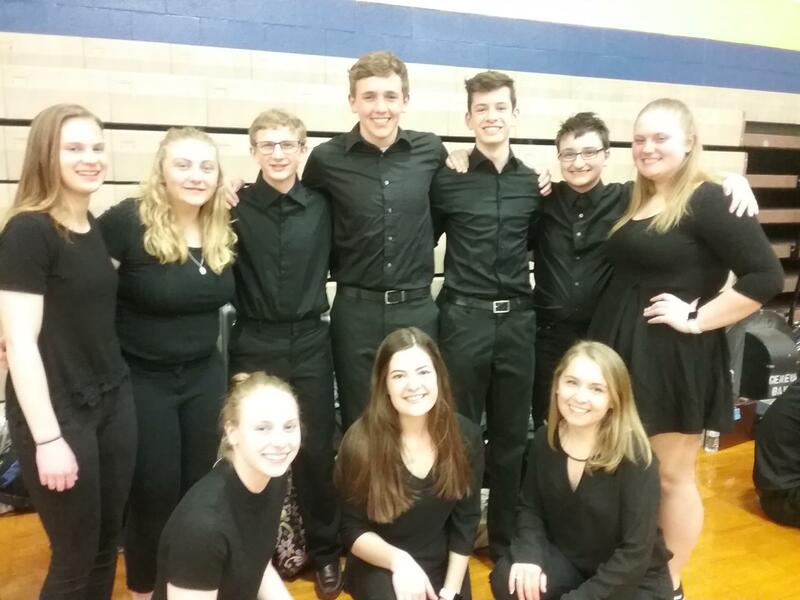 The following studentds were selected to represent CHS at the annual CVC Honors Band held at Wickliffe High School on April 3rd. Students from all of the CVC schools came together for two rehearssls and s concert. The guest clinician was Jesse Leyva from Kent State University. Back row: Kenni Voytek, Monica Menkhaus, Nate Menkhaus, Holden Taylor, Mike Hopkins, Tommy Wilson, Casi Greenfield.